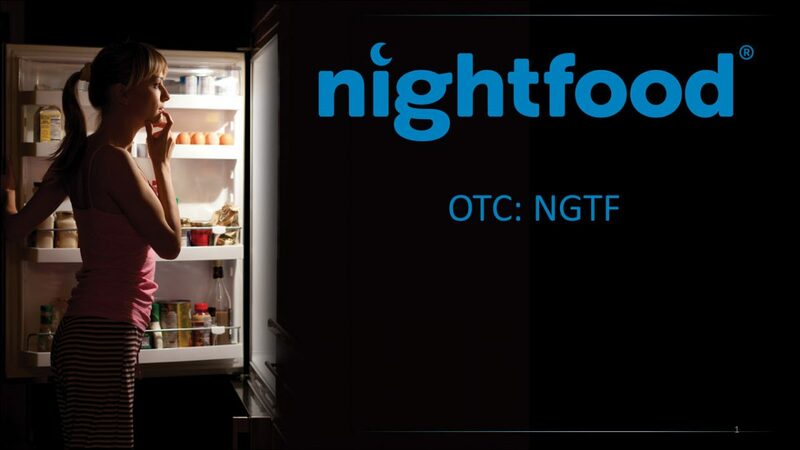 TARRYTOWN, N.Y., Oct. 04, 2018 (GLOBE NEWSWIRE) — Nightfood Holdings, Inc. (OTC:NGTF) is pleased to announce that the Company has scheduled an investor conference call for 4:30 PM eastern daylight time on Wednesday, October 10, 2018. Nightfood Founder and CEO, Sean Folkson, will provide updates on recent developments in both wholly owned subsidiaries: Nightfood, Inc. and MJ Munchies, Inc. In addition, interested parties have the opportunity to submit questions concerning the Company prior to the call to Stuart Smith at SmallCapVoice.Com, Inc. via email: [email protected] by 12:00 PM eastern daylight time on Monday, October 8th, 2018. Mr. Smith will compile a list of questions and submit them to the Company prior to the conference call. Which questions will be addressed will be based on the relevance to the shareholder base, and the question’s appropriateness in light of public disclosure rules. For those unable to participate in the conference call at that time, a replay will be available at https://www.smallcapvoice.com/ngtf/ shortly after the call has concluded. Nightfood, Inc., “The Nighttime Snack Company”, is introducing its line of eight delicious and sleep-friendly ice cream flavors to major regional and national retailers in October, 2018. According to IRI Worldwide, 44% of snack consumption occurs at night, representing a consumer spend of over $1B weekly on nighttime snacks. Ice cream is the second most popular night snack choice, behind only “salty snacks” (chips, popcorn, pretzels). MJ Munchies, Inc. was recently formed as a new, wholly owned subsidiary of Nightfood Holdings, Inc. to capitalize on legally compliant opportunities in the CBD and marijuana edibles and related spaces. The Company intends to market some of these new products under the brand name “Half-Baked”. Munchies is currently preparing a patent application with the USPTO for a proprietary ingredient to be used in Half-Baked snacks that Management believes will give it a unique and defensible competitive advantage against other recreational edible brands. The Company believes tremendous opportunities currently exist to launch successful and legally compliant products in this space, and that such opportunities will continue to grow over time.